On this first day of the New Year, I will wrap up the old year. 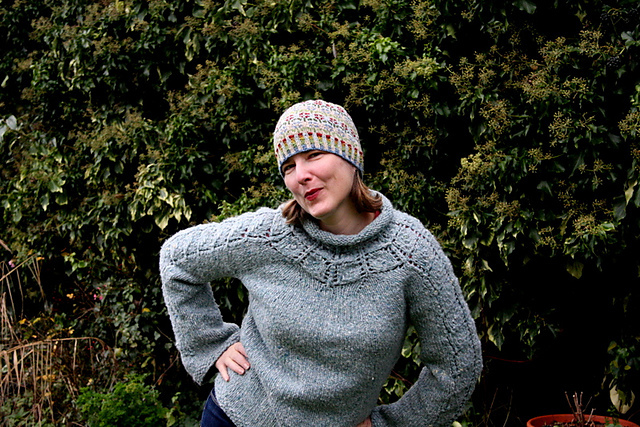 I knit 11 items in 2011 (sounds catchy, huh?) Since this blog is meant to be a record of my knitting as well as a running commentary on all things knitterly that capture my attention, I thought that this would be a good opportunity to document last year’s knits. If I am still in the blogging business at the end of this year, I can make it a tradition. 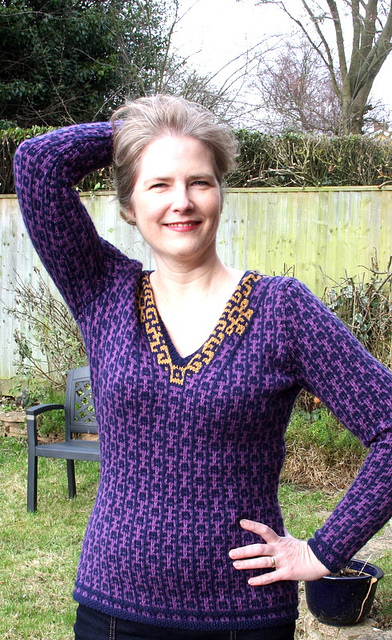 The first project of the year was Ormolu, a pullover designed by Barbara Gregory, which I knit for myself; finished February 6, 2011. This is one of my very favorites. Second was Carnaby, an adorable skirt I knit for Emma; finished April 3, 2011. Carnaby was designed by Nikol Lohr. 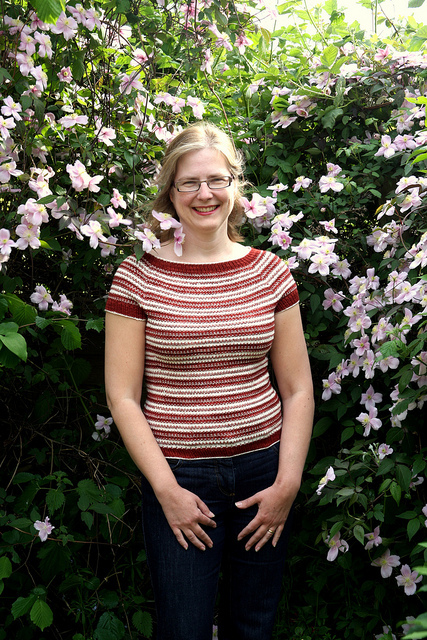 The Blakeslee Tee, designed by Emily Johnson, was knit in Malabrigo sock yarn (think tiny yarn on tiny needles) in a slip stitch pattern. I knit it for myself; finished on May 1, 2011. 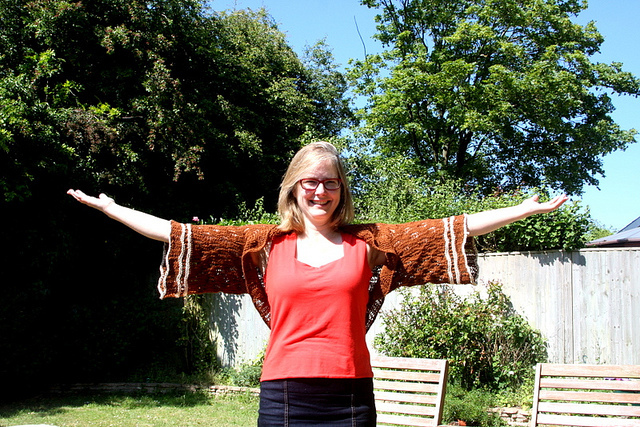 Next up was the Layering Shrug designed by Juju Vail. It is knit in linen in a lace stitch; finished June 1, 2011. 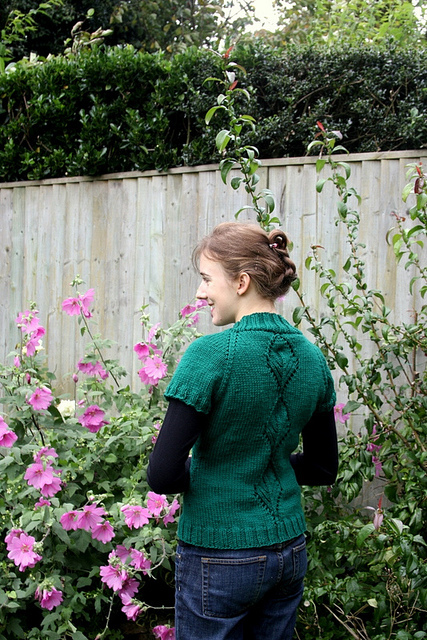 Leaflet is a cute little cardigan designed by Cecily Glowik MacDonald. I knit it in Quince and Co wool for my daughter Leah; finished September 11, 2011. 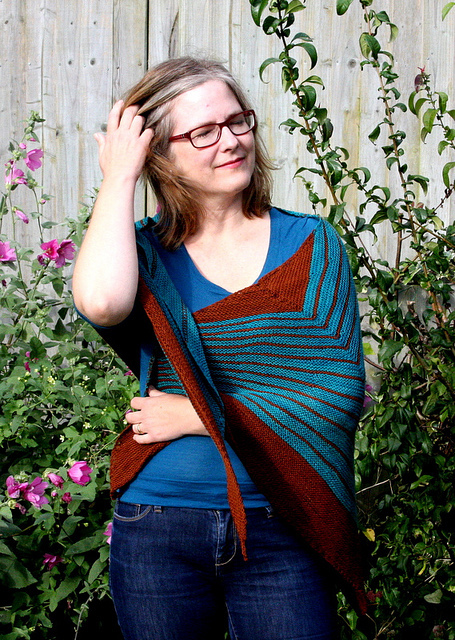 The beautiful Stripe Study Shawl, designed by Veera Välimäki, was my seventh knit of the year. Finished on September 24, 2011, it is knit in Wollmeise. 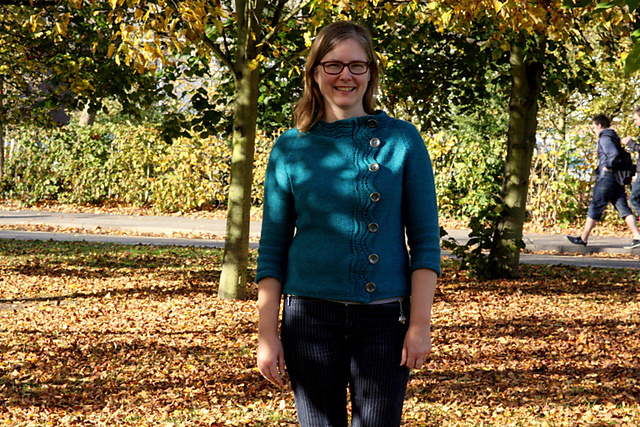 I knit the Levenwick cardigan, designed by Gudrun Johnston, in Cascade 220 wool. Knit for myself, it was finished on November 1, 2011. I knit three items in December! First, a cowl, following notes that Jen Geigley wrote up and posted after seeing a similar cowl in GAP, which I finished on December 3, 2011. I knit it in seed stitch using two strands of Malabrigo held together. Next was the Smoulder sweater, designed by Kim Hargreaves and knit for Emma in Kid Silk Haze; I finished it on December 28th. And last but not least, finished yesterday on the last day of the year, is my Peerie Flooers hat, designed by Kate Davies. My biggest knitting project of this year was to start this blog. This is due to my daughter, Emma, who not only badgered me for years to do it, but then set it up for me and figured out how to do things, and tried to teach me some tech skills. Emma does all the photostyling for this blog, takes the photos, and argues with me over all aspects of the artistic look and layout. 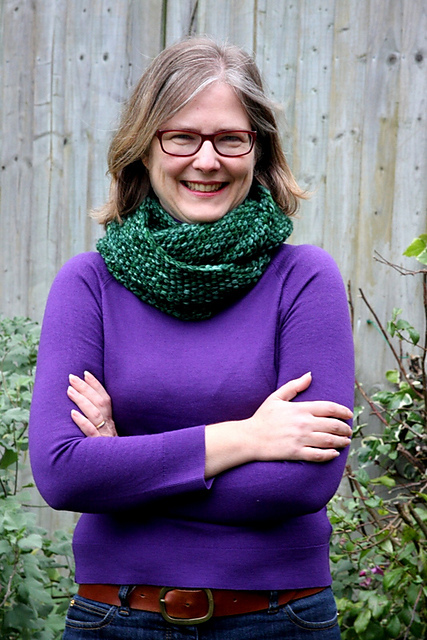 She invariably wins every argument, and her photos make both me and my knitting look good. Well, that was the year that was; 2011 in knits. In the next year, I hope to do some adventurous knitting: I want to try my hand at some more stranded knitting, perhaps make a steeked sweater, knit something great for Doug (already in the works), use more indie hand dyed wool, maybe work up a design or two of my own, and have fun along the way. A very Happy and Healthy New Year to all my readers, and Good Knitting too! This entry was posted in Finished Project, Main and tagged Knitting by knitigatingcircumstances. Bookmark the permalink. Hi Theresa, Happy New Year to you and Mark and the boys. Thanks for the link; I have seen this before but lost track of it. 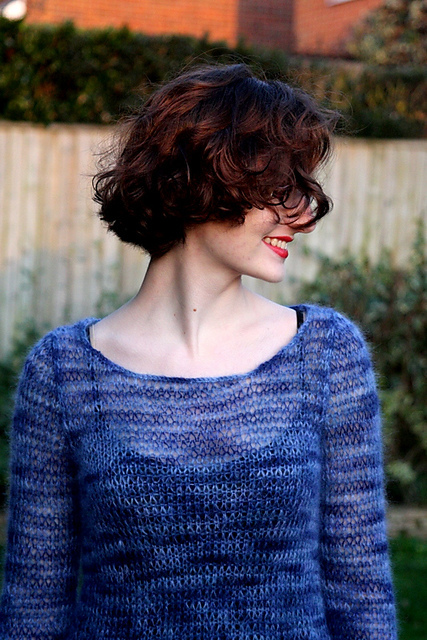 Alice Starmore is quite famous in the knitting world and her designs are great. Love this Kelly and love Emma’s input. Thinking of you and wishing you all a wonderful new year! Please keep posting away. You’re very eloquent and your blog is so well organized, not to mention the photos are sublime! My goal for 2012 is to finish everything I start to knit. And to gain enough wisdom to know when to frog, to keep those UFO’s at bay. Thank you. I am lucky to collaborate with Emma, who does take lovely photos. It’s hard not to get distracted by new projects; good luck with your resolution. What beautiful finished objects! The amount of ends you had to weave in on the last one definitely would have scared me away from that pattern. You and your daughters are gorgeous! Thank you, Allison. I weave in ends on Sunday mornings and pretend its therapeutic.